Battles Poultry Drink is a specially formulated liquid supplement for adding to drinking water. It contains iron, phosphorus, potassium, manganese and copper - the perfect pick-me-up for lacklustre birds suffering from anaemia or recovering from disease. 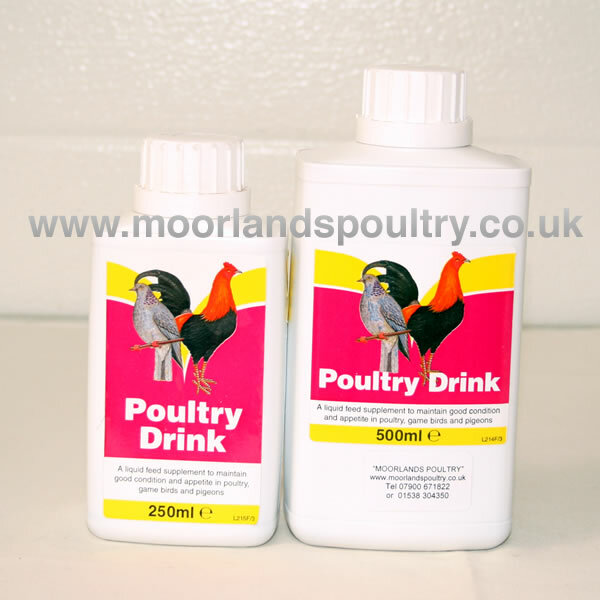 Supplied in 250ml or 500ml bottles.